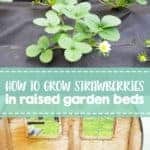 I’ve already given you my top tips for planting strawberries, now let me show you how we are growing strawberries in raised beds this year! If you saw my post a few weeks ago about how to grow strawberries, you’ll be feeling well equipped to plant strawberries in your garden this year. We have grown strawberries for a few years now but this year we have decided to do it a little differently. 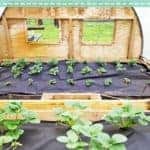 Today I thought I would share with you how we are growing our strawberries in raised garden bed…strawberry farm style! This is a total experiment for us (as is all of my gardening!) 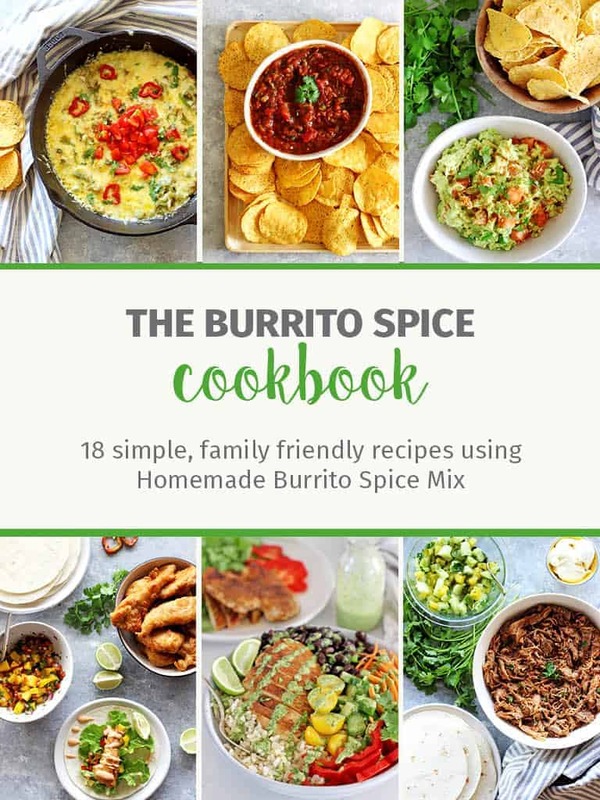 but I thought it would be fun to share so that you can see how it works! Our strawberries have always done extremely well – until last year when we somehow ended up with wild strawberries growing rampant in our patch. Not only did they take over the entire garden, they didn’t even produce any berries! As our strawberry plants were due to be replaced anyway, we decided to pull everything out and start over and we figured we would take this opportunity to set up our plants to try and maximise our berry production! We have the entire back section of our polytunnel reserved for strawberries. 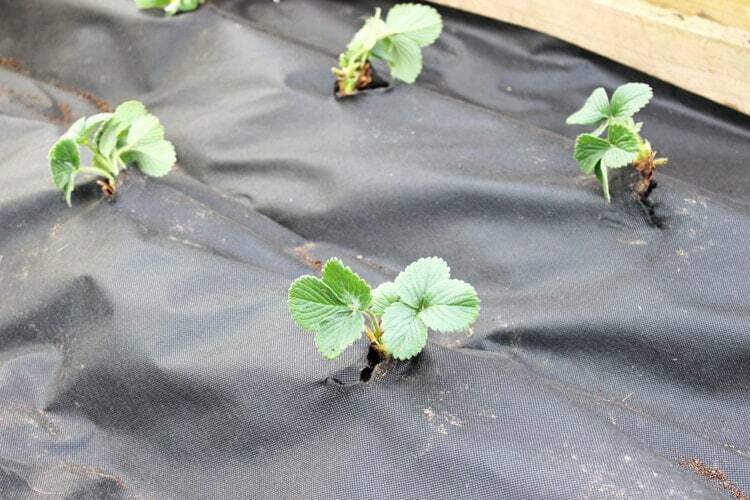 Strawberries require well draining soil and as the beds in the polytunnel are raised, they are perfect! Strawberries will do really well outside too, but the soil in our outdoor garden is really waterlogged at this time of year, so it’s not ideal. 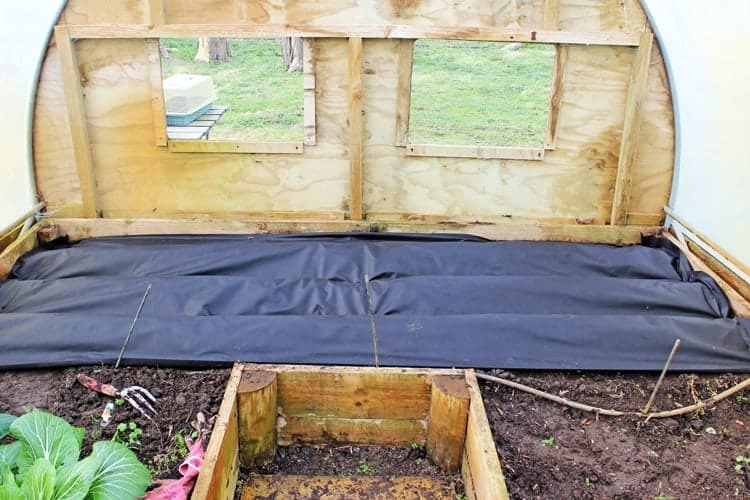 Raised beds offer the perfect solution. 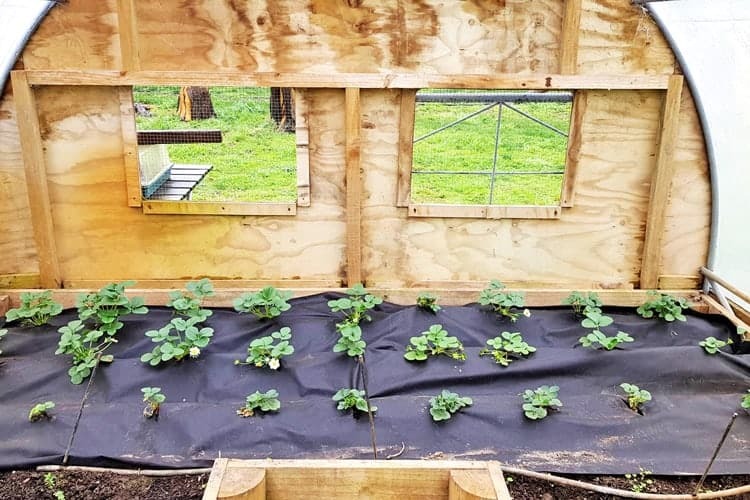 We have always looked at strawberry farms in wonder with their perfect raised rows of plants, so we figured that we might as well give it a try! 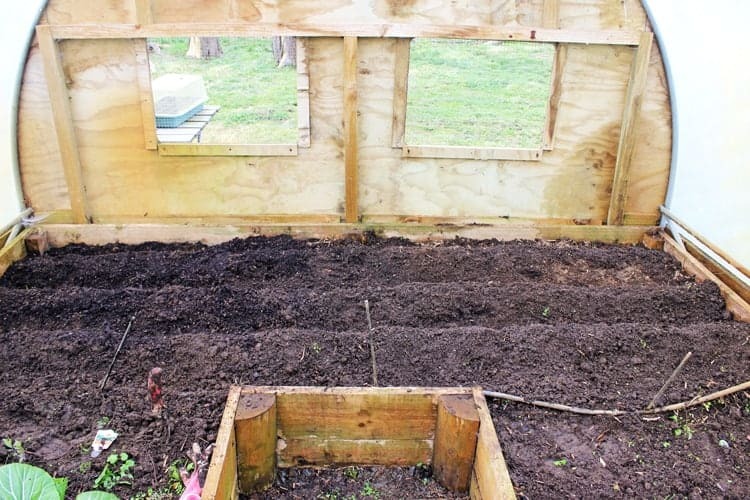 We just added a little extra soil to the beds (more on that below) and mounded up 3 rows, making sure to put enough space between them to give the plants room to grow. 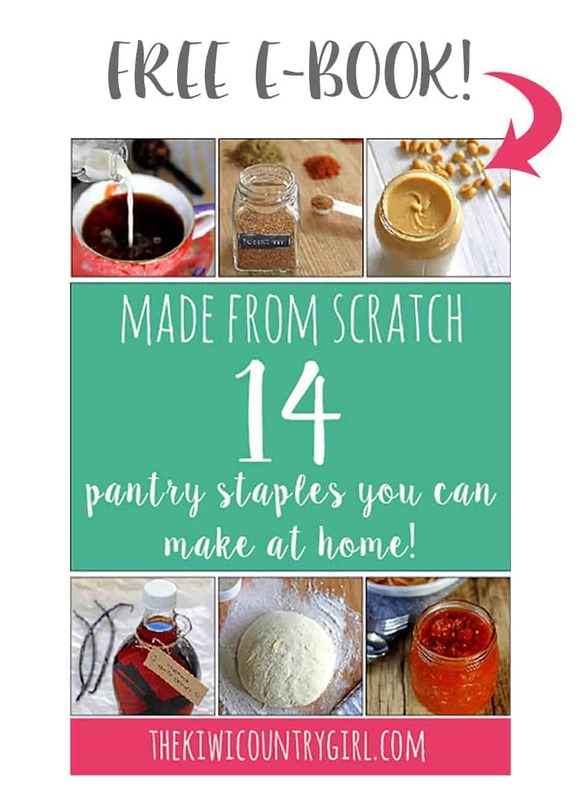 I also decided that this would be a great chance to run a little experiment! I added Tui Strawberry Mix to half of the garden and left the other half as it was. Tui Strawberry Mix is specially formulated with nutrients that help give strawberries a great start and keep them going throughout the season. I’ll be sure to keep you updated on the progress! After our terrible run last year, we decided to put down weed mat to make sure that if any stray wild berries decided to pop their heads back up, they wouldn’t get far! 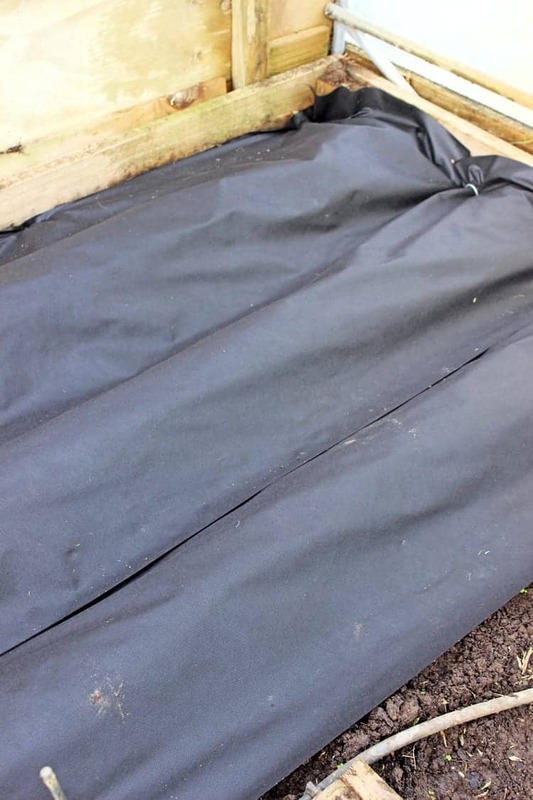 I selected a woven weed mat that allows the water through so that the strawberries don’t dry out, but it will keep the area nice and tidy and weed free. 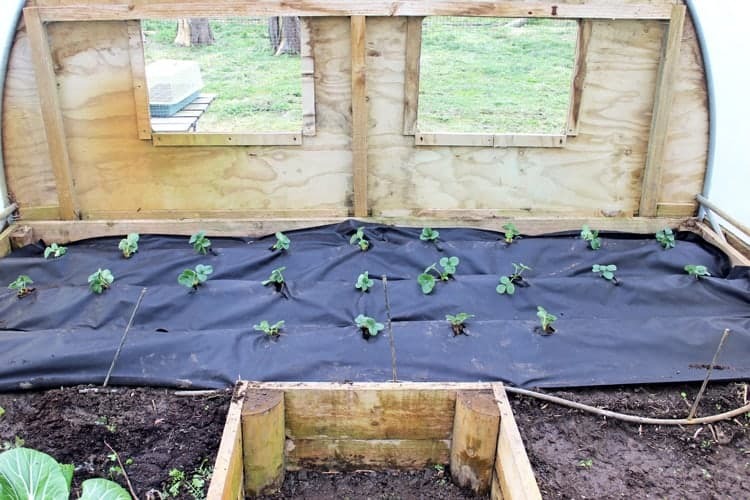 You want to have something to stop the berries from sitting directly on the soil as it keeps them nice and clean and seems to deter the slugs and other bugs too. We have used pea straw in the past which has always worked well, but so far, this is even better. I measured, cut and laid out the weed mat on the garden and then cut holes in the mat where I was going to put the plants. The weedmat I bought wasn’t wide enough for the whole garden so I have it in 2 strips and used weed mat pins to hold it down. I started off trying to plant the berries through the mat, but it was so awkward trying to fit them through the holes and plant them well so I pulled the mat back, put the plants in the ground and then gently pulled the mat back over the plants, guiding them back through the hole and making the holes slightly bigger if necessary. Our hopes are with this and the raised rows, it will be really easy to find and pick the berries! You know on the label of plants where it says how far apart to plant them? That’s not just there for fun! 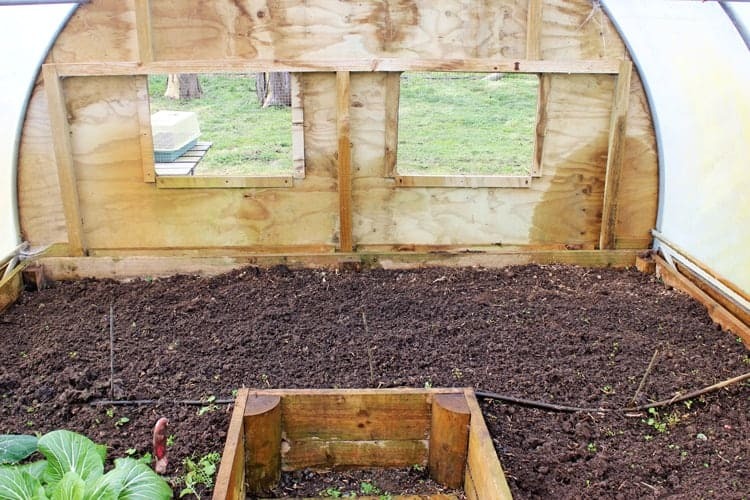 Correctly spacing plants gives them enough room to grow and reduces the risk of them getting diseases. So pay attention! 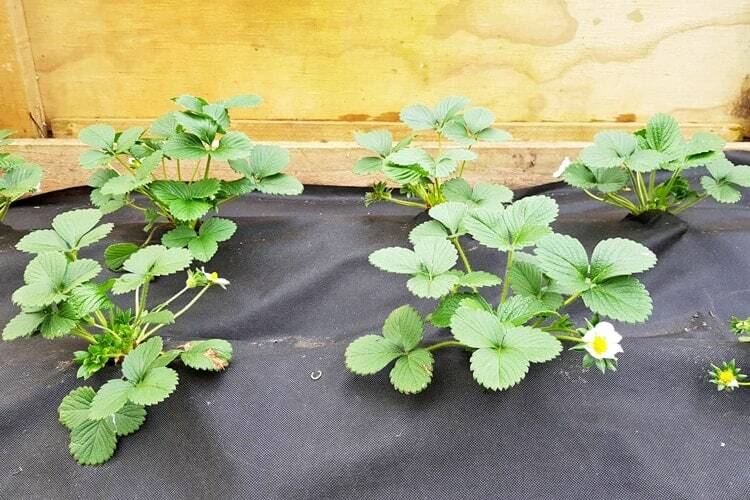 For strawberries you need around 40cm between plants. 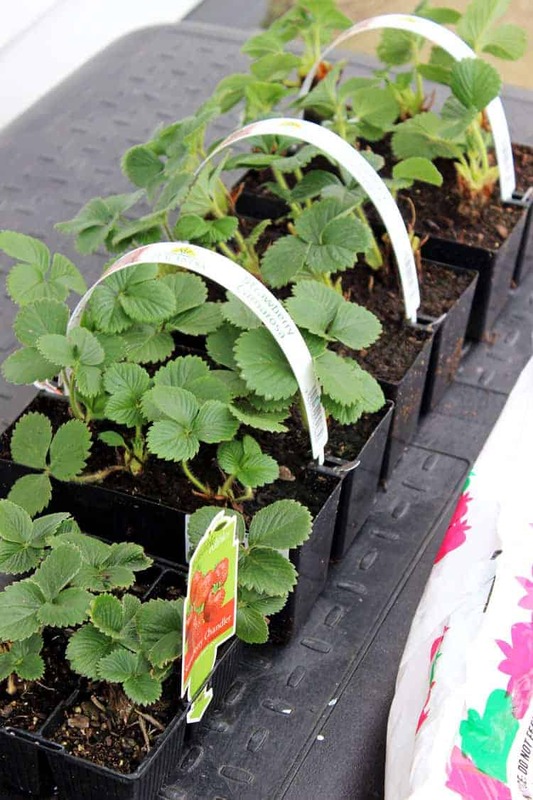 Depending on the varieties you choose, this should mean your strawberries will ripen at different times and will hopefully give you a longer growing season. We planted Chandler and Camarosa which both produce an early crop and then a heavy summer crop in December/January and Temptation which will give us a consistent high yield of berries from October through March. More about the varieties here. So that’s how we are doing it! If you’re on Instagram, follow along me @thekiwicountrygirl as I will be updating you all summer long about the strawberries and all other garden adventures! 6 weeks since we planted them, look how good they look! Check out my post with 5 quick tips and all other FAQ’s about growing strawberries here.